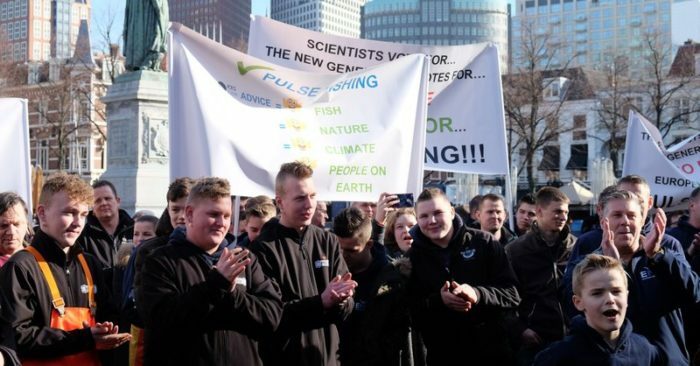 Dutch fisherman protested Tuesday outside parliament in a last-ditch attempt to avert a European Union ban on the practice of using electric shocks to stun fish before scooping them up in nets. The Dutch fishermen argue that the technique, known as electric pulse fishing, is environmentally friendly because it allows trawlers to use far less diesel and doesn’t damage the seabed. Opponents call it industrial fishing that is wiping out fish stocks. He “is the only one who can help us by talking to (French President Emmanuel) Macron” before the meeting in Strasbourg, Bakker said. Nearly 80 of the Dutch fleet’s 137 trawlers are equipped for pulse fishing. The pulse trawlers caught 75 percent of the total catch of sole in 2016, according to figures released by the country’s fishing groups. “There is much controversy about the environmental impact of the electric pulses which needs to be further assessed by independent scientific bodies,” marine environmental group Seas At Risk said in a statement. “Commercial fishers were coming to me and saying, ‘this is like fishing in a graveyard,'” Percy said. 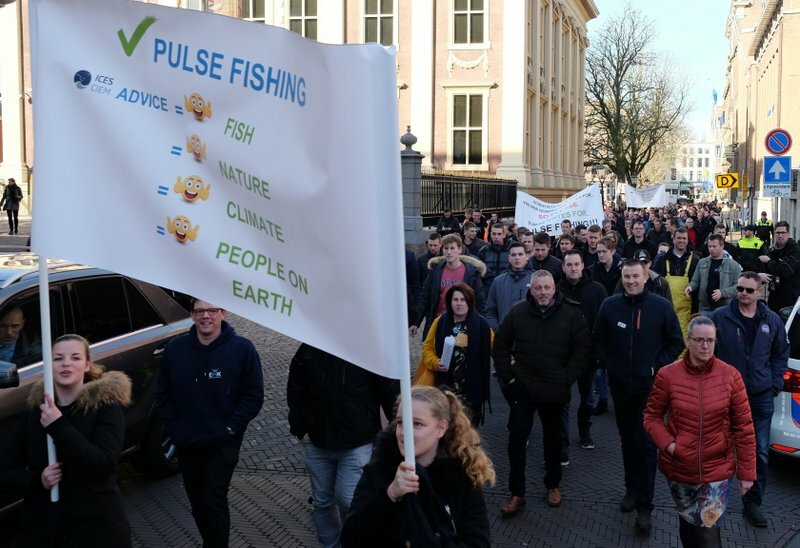 Carola Schouten, the Dutch minister for agriculture, nature and fisheries, said in Parliament that “it doesn’t look good” for pulse fishers, but defended the method. 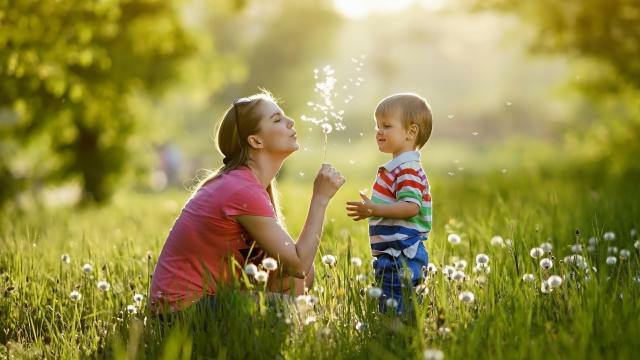 “It is sustainable. It is good for the seabed. It is good to counter overfishing and it generates fewer emissions. And the fishers can earn a good living,” Schouten told lawmakers in parliament as the protesting fishers looked on from the public gallery.